In Rebecca Hunt’s well-received debut novel, Mr Chartwell, the ‘black dog’ of Winston Churchill’s depression is materialised into an actual black dog, a constant companion of the retired politician in his late years, and one who may also visit other people’s lives. Below, Rebecca Hunt explains why she’d be Ferris Bueller if she were a film character. 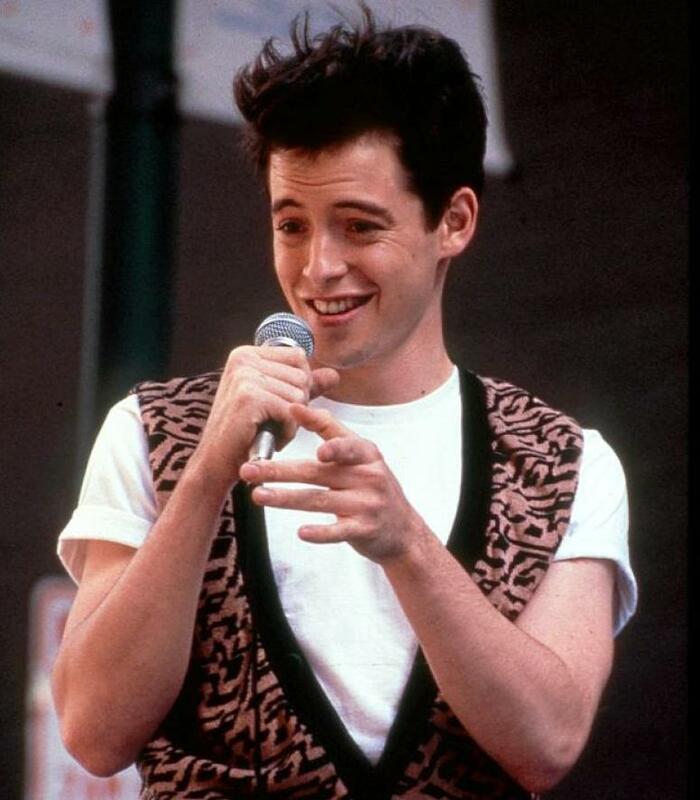 I think I’d choose Ferris Bueller as my alter ego. It’s not that I like him much as a character – I nearly dislike him in a curious way – it’s more that I admire his impossible, effortless sense of entitlement to luck, fun and success. In his famous day off we see him relishing a day of fast cars, art, fancy restaurants, the Von Steuben Day parade, and general triumph with his friend Cameron and girlfriend Sloane. Ferris is universally adored by everyone except his furious chump of a head teacher, Rooney, and his jealous older sister, Jeanie. Both, we are certain, will never succeed in their attempts to bring about Ferris’s downfall. We are also certain that attempts to destroy Ferris will only boomerang viciously back, leading to the humiliating defeat of anyone who tries. This is because Ferris is channelling a magical invincibility. Watching his day off, it’s obvious that this particular day isn’t exceptional; it’s just a 24-hour taster of how all Ferris’s days are and will be in the future. The film’s parade scene is probably the most bizarre example of how fortune smiles on Ferris, when he disappears for five minutes simply to appear again on a parade float. Surrounded by beautiful dancers he lip-synchs along to ‘Twist and Shout’ as people pack the streets and go haywire. Clearly, if I tried to hijack a float and mime to songs it would be a different scene… an odd, unsettling scene. Even if my own sense of embarrassment and social obedience didn’t somehow spark off and prevent me from leaping onto the float, I’m pretty sure the dancers would. But despite the enormous differences between us, there is a little innate Ferris-type in me which I remind myself to plug into when I see this film. I appreciate his confidence that it’s not all about slavish adherence to perceived duties; that it’s not all about – or even at all about – pleasing the Rooneys and Jeanies of this world. There is merit in fun. Inevitably, being Ferris Bueller, he’s right about this. Mr Chartwell by Rebecca Hunt is published by Fig Tree.